They are old, rusty and broken. They all have a story on how and why they crushed, and their bodies are still on the accident spots, attracting visitors and claimed to be landmarks and sightseeing. Sometimes the stories involve mysterious disappearing of the crew, smuggling, ghost murmurs and deliberate crush into rocks. Skeletons of ships can be seen near the shores of five Greek islands and one peninsula but by all means the most famous of them is Navagio, the shipwreck of Zakynthos. By accident or on purpose, it crushed on one of the most picturesque beaches of the Mediterranean and photos of it adorn all magazines and web sites dedicated to Greece. The remains of the other ships are not so impressive and advertised, and sometimes people do not even realize they have been very close to such sights even though they spend a whole week near them. And here they are, all the shipwreck destinations of Greece (as far as we know). 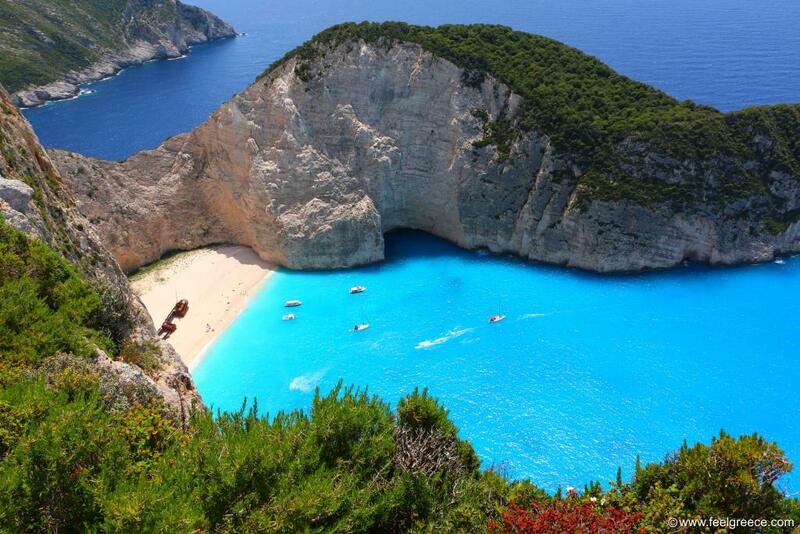 Navagio is on the west coast of Zakynthos island, accessible only by boat. All "air" photos are shot from a special platform on the rocks above the beach, near the village of Volimes. Actually the name of the shipwreck is Panagiotis, but everyone knows it under the name Navagio, which means "shipwreck" in Greek. 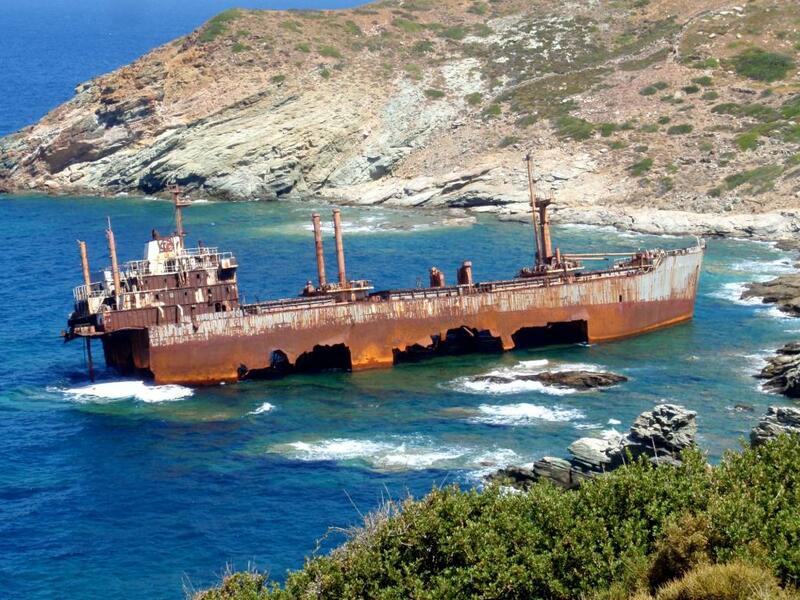 The smuggler ship wrecked in 1980 while being chased by the Greek sea authorities. 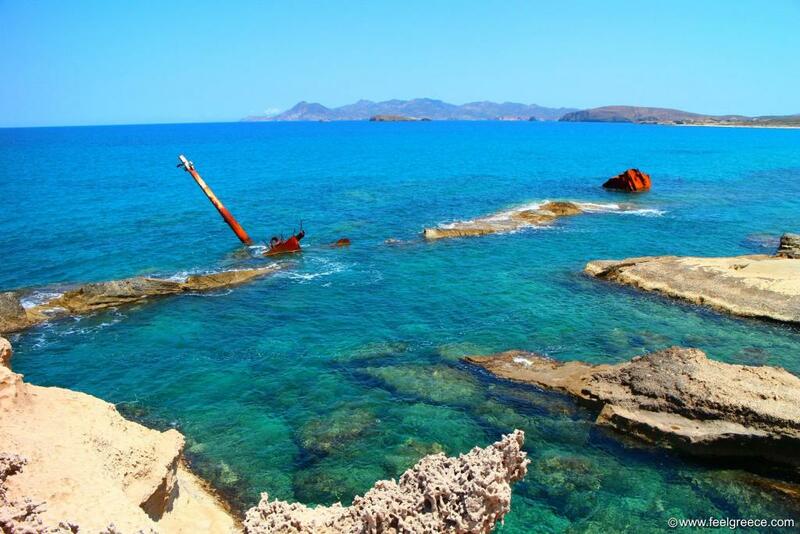 The wrecked pieces of this ship can be found near the "lunar" Sarakiniko beach. A tanker called Africa crushed into the lime rock formations during a storm in 2003, as it broke into two and parts of it remained protruding above the sea surface. The locals decided to leave it as a tourist attraction but the wrecks are slowly sinking with each passing year. Olympia ended up in the southwest rocks of Amorgos, near Kalotaritissa beach. 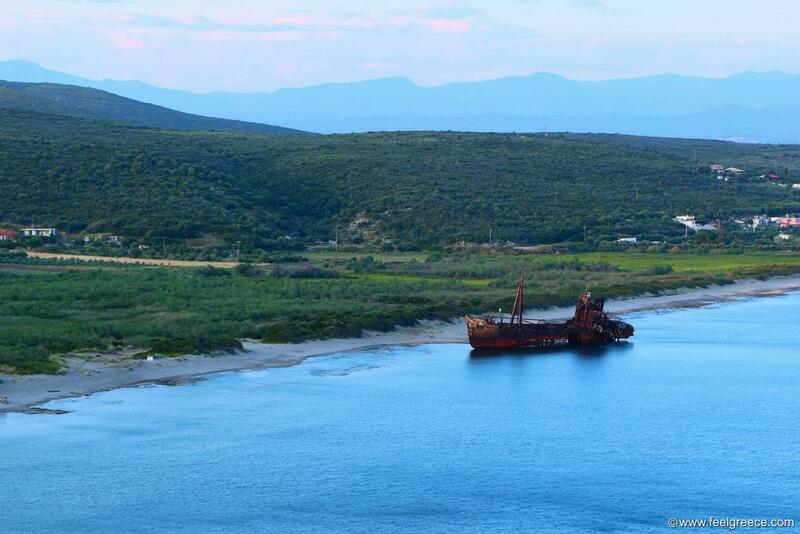 The ship crushed around 1980 after a heavy storm, now lying in a small cove with a tiny beach. Needs a short walk on foot to reach. As it is in shallow water, anyone can explore it and swim around. Olympia is present on some scenes of Luc Besson`s movie The Big Blue. 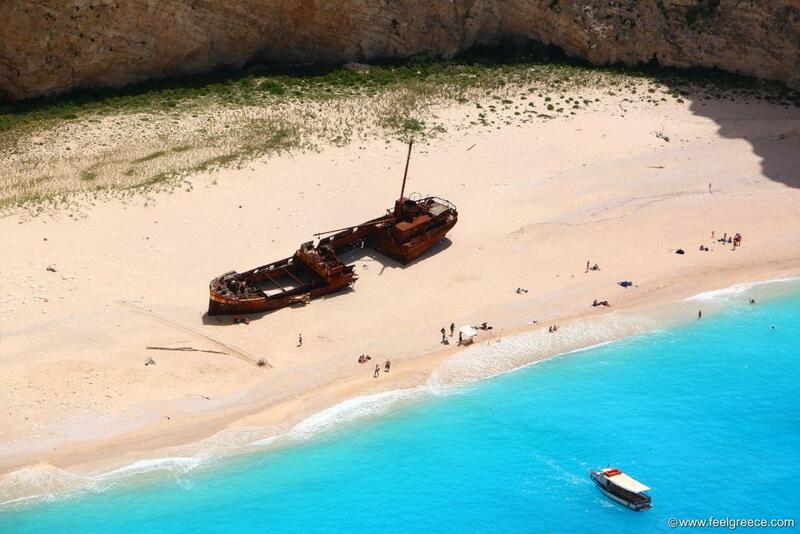 Since Karpathos is not quite a popular destination, the shipwreck is even more unknown. The ship name is not announced anywhere but it is believed to be an Italian cargo ship which crushed in the middle of last century near the rocky Afiartis beach. It is easily accessible and right next to the island airport. The reason for the shipwreck is not revealed. There is not much information about the Semiramis ship but locals can tell you a few versions. It lies in the northeast part of the quiet Andros island, in a rocky section of the coast. The place is accessed via a dirt road starting from the nearby Vori beach. Big waves and strong winds are sometimes present in this area, and in such conditions you`d better not approach the ship and the rocks but in calm weather diving and swimming is possible. Dimitrios rises up right on Valtaki, a sandy beach close to Gythio, north Mani, and it is the most accessible of all Greek shipwrecks. Many stories about Dimitrios have been told since it suddenly appeared on the beach in 1981, crushed and burnt. Some say that it was set on fire to hide smuggling evidences, others swear that it just disappeared from Gythio port one night, to be found crushed on Valtaki a couple of days later. Anyway, today Dimitrios is a favorite spot for photos and selfies and both tourists and locals enjoy it.